Supertanker. Toucan. 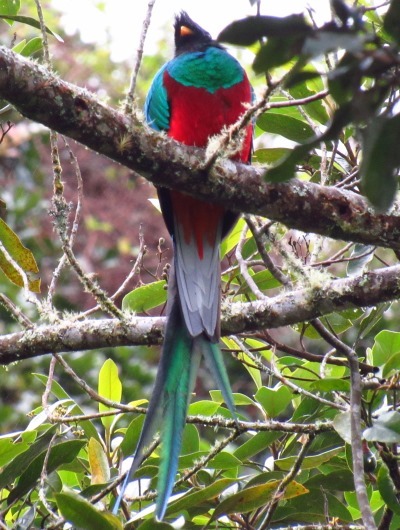 Quetzal. Bridge of the Americas. What do these seemingly unrelated words have in common, and what, pray tell, do they have to do with the Carolina Bird Club? 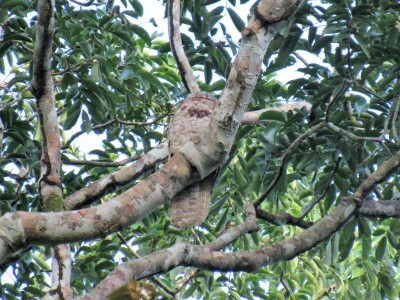 All are things spotted by members in Panama, host of an incredible CBC "bonus trip" in January 2018! Searching high and low for birds (literally, from knees on the ground peering into the foliage for a White-bellied Antbird to earning a crick in the neck watching wintering warblers) eight members of the CBC tallied 300 species of birds, three types of monkey, two versions of sloth, and more happy memories than could fill a Shutterfly photobook while visiting locations in central and western Panama. Our trip began with a meet and greet at the Radisson Summit golf resort situated atop the continental divide north of Panama City. 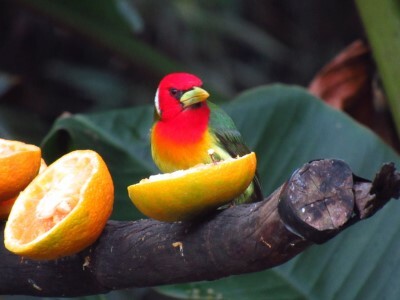 In addition to reasonably luxurious surroundings for a birding adventure, the hotel grounds offered tantalizing tastes of birds to be seen including pairs of Amazon parrots flying to roost, more tanagers than a stick could shake, and visits with "our" wintering birds like Rose-breasted Grosbeak, and Tennessee Warbler. 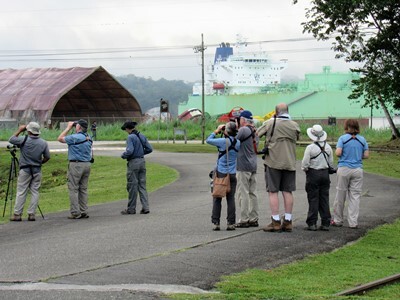 In the former Canal Zone area, we visited such hallowed-birding-ground sites as Pipeline Road, Summit Ponds, Ammo Dump Ponds, and spent an amazing afternoon at the Rainforest Discovery Center's canopy tower and hummingbird feeder set-up. With six species of hummingbird flitting literally inches away from observer and camera, it was hard to pick a favorite, although many would consider the male Rufous-crested Coquette perched nearby an entrant in the "Trip Top Five List". 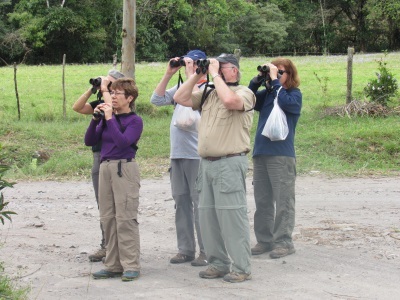 Mammals managed to draw our attention away from the birds from time to time, with Hoffman's Two-toed Sloth, Brown-throated Three-toed Sloth, Geoffrey's Tamarind, White-headed Capuchin, and Mantled Howler earning spots on our "mammal list". 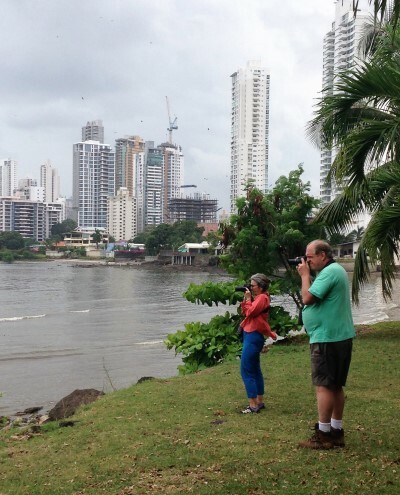 Taking a break from the humid jungle, Wednesday afternoon found the group standing in the shadow of Panama City skyscrapers scoping the Pacific Ocean shoreline for waders and shorebirds. Rare-for-the-area Cocoi Heron and American White Pelican take the cake for least-common birds, while the sheer number of shorebirds (we counted thousands) impressed. 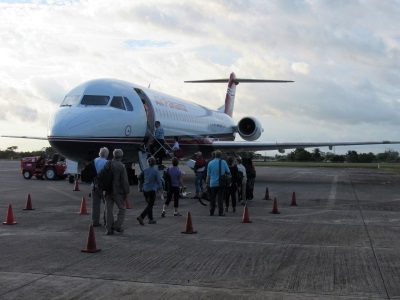 Leaving the flats, we passed through the busy city once more before catching a late afternoon flight to David in Chiriquí Province. From David a van ride of just over an hour delivered us to Volcan, a tiny town perched on the western flanks of Volcan Baru, Panama's highest point. 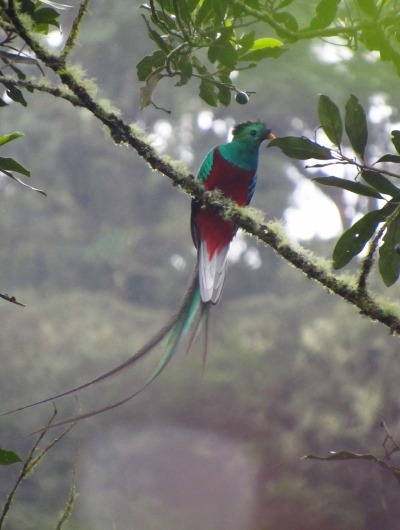 Trading the lowland heat and humidity for rushing mountain streams, cool breezes, and coffee plantations, our target the next morning was none other than what many consider the most spectacular species in Central America, Resplendent Quetzal. 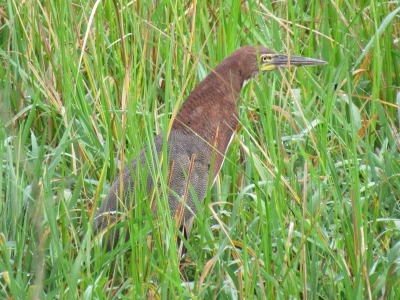 We planned two days to try and maximize our chances of seeing this incredible bird, but needed just the first morning, and a walk of about ten yards from the van, to enjoy crippling looks at a pair of quetzals munching on avocados. The rest of the morning was gravy, but gravy with names like Flame-throated Warbler, Black-cheeked Warbler, Collared Redstart, and Blue-throated Toucanet. 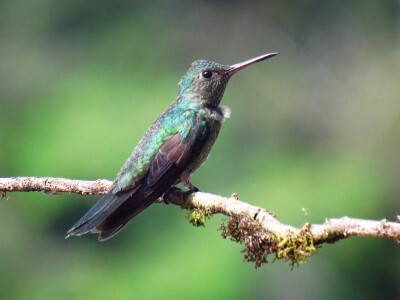 We ended the day relaxing beside a rushing mountain stream on the grounds of the Hotel Dos Rios with a refreshing beverage and a Long-billed Starthroat. Does it get any better than this? Maybe. 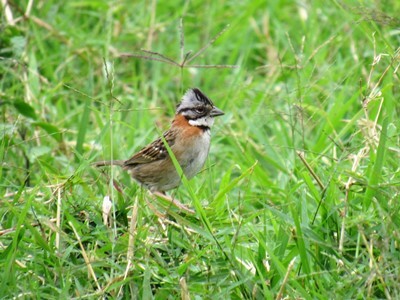 For some, the highlight of the trip may have been the next morning's visit to Paraiso Birding Paradise near the resort town of Boquette. With forty (!) 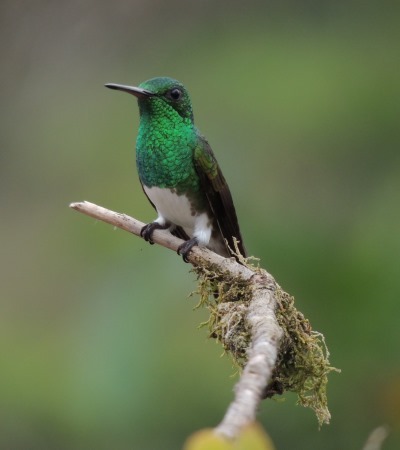 hummingbird feeders, landowner and birder Mishael Rivera attracts not only hummingbirds like Lesser and Brown Violetear, but with native habitat optimized for birds, an impressive list of non-hummers as well. 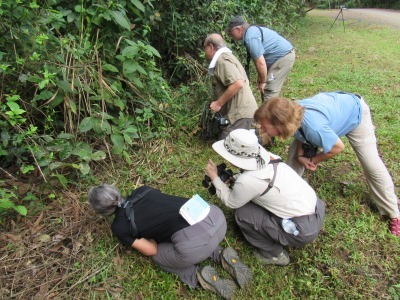 We tallied highlights including Sunbittern, Fiery-billed Aracaris (attending a feeding platform) and Lessor's Motmot while learning about land conservation issues and initiatives in this rapidly-growing area. And what better way to celebrate another incredible morning of birding than with a cup of fresh Panamanian coffee from a shady hilltop patio? 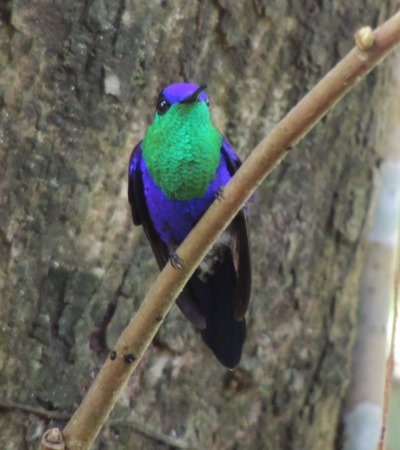 While visiting the Janson Coffee Farm we not only got to taste and enjoy the nuevo-popular Geisha Coffee, some of the most exclusive and expensive coffee in the world, but more trip ticks like the White-winged Tanager flitted in the trees just a few feet away! After another impressive day in the highlands on Saturday, the group birded downslope to the David airport, picking up the world's second smallest raptor, Pearl Kite, just before catching the evening flight to Panama City. 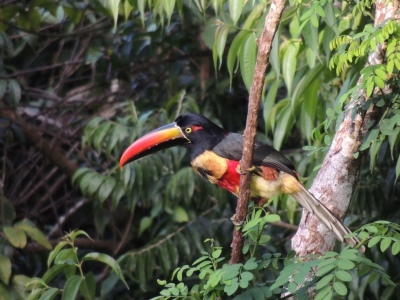 As the plane descended past the brilliantly lit Bridge of the Americas to a landing in the capital, we had to wonder: is this the best birding spot in Central America? 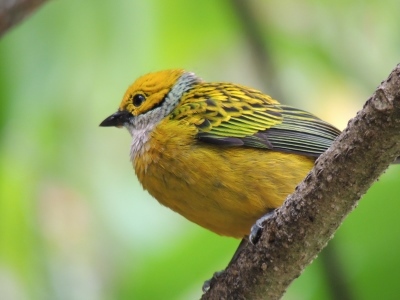 Many would argue their favorite location, and may make a valid claim, but certainly a week with seven species of manakin, four each of motmot and trogon, the quetzal, and 21 species of warbler must be in the running! 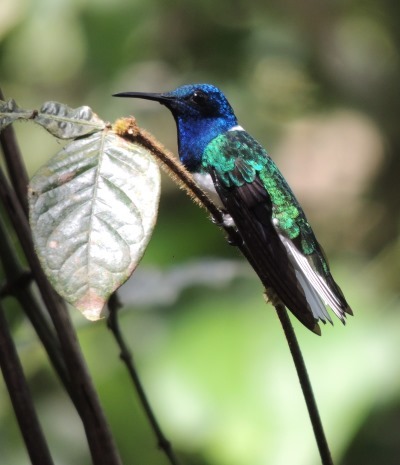 And while this year's Panama trip is complete, and our twin offerings to Costa Rica are sold out, it's never too early to start planning your next birding adventure! 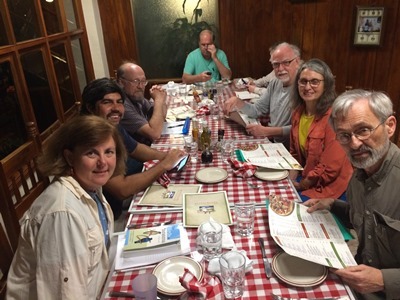 The Carolina Bird Club endeavors to offer reasonably-priced, professional-quality bonus field trips to locations in the Carolinas and beyond. If you have an idea for a bonus trip, would like to lead or participate in an offering, or have any questions about our slate of upcoming trips, please contact any of the CBC Executive Committee members. Hope to see you in the field soon!